AAO Archives - Medical Marketing Enterprises, L.L.C. December 3, 2017 by Randall Wong, M.D. 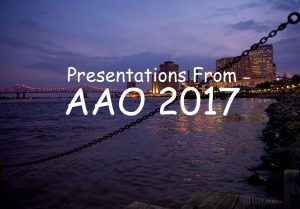 These are the 4 presentations given at the American Academy of Ophthalmology 2017 in New Orleans. These have been uploaded to Slideshare.net and have been embedded here. As always, thanks for following and for your support. Marketing101 | Kickstart Website, Social Media and Blogging | aao 2017 tech 10 | wong | SPE06 from Randall Wong, M.D. Add Life to Your Website | Alternative Digital Platforms to Market Your Practice | Wong | AAO 2017 Tech 10 from Randall Wong, M.D. 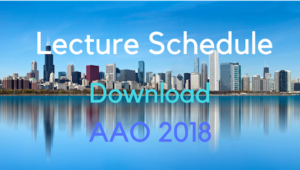 Live Website Analysis | AAO 2017 | Wong from Randall Wong, M.D. March 23, 2017 by Randall Wong, M.D. I recently interviewed Steven Christiansen, M.D. for my podcast “Russ and Randy.” Steve is an ophtho resident at the University of Iowa Ophthalmology department. 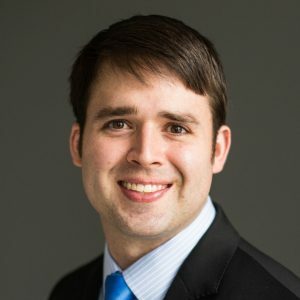 Before starting residency training, he created an eye related health website (www.EyeSteve.com) and promotes himself through social media, specifically Twitter (@EyeSteve). The episode “Interview with Steven Christiansen, M.D.” is hosted on iTunes. Steve’s issue – how to promote the content? 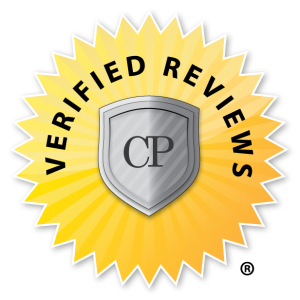 Steve started promoting his website content through Twitter (@EyeSteve) and now receives over 12,000 page views per month! In addition to the usual search engine optimization (SEO), Steve has created a significant following on Twitter to increase the exposure of his website. Persistent use of Twitter, consistent publications and quality writing on his website has allowed Steve to create this in such a short time. In the interview, Steve recalls how the University of Iowa recognized his fluency with Twitter. They asked for his help. Unlike other departments who have successfully implemented social media to connect with their patients, Iowa wanted to keep in touch with alums and residents specifically using Twitter. From no use to a powerful communication and sharing tool. Incidentally, Steve published, “Twitter at the 2014 and 2015 Annual Meetings of the American Academy of Ophthalmology”, Ophthalmology, Vol. 123, issue 8, p1835-1837, published online August, 2016, www.AAOJournal.org. The article analyzes Twitter use between the two meetings, again in a demographic naive to Twitter. The AAO regularly maintains a Twitter account during the meetings and through the year! 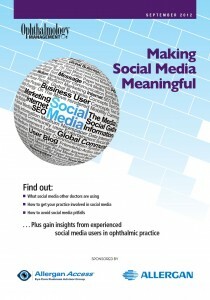 How do you use the same Twitter content for both your colleagues who are doctors and patients? On one hand, how does information about the latest in scientific knowledge (discoveries, treatments, meeting attendance) relate to patients? Also, how do posts about a new optical shop or a new EMR system, intended for patients to promote your practice, appeal to your colleagues? Steve has a great explanation why this works for him. There actually is some cross-relevance. Patients get better educated about their health and about their provider. Colleagues become impressed with connecting with patients and using a digital platform to communicate with patients! November 3, 2016 by Randall Wong, M.D. 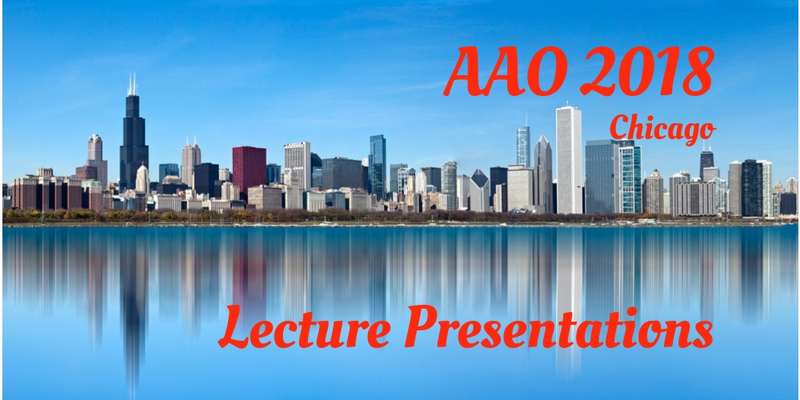 These are the five presentations delivered at the American Academy of Ophthalmology 2016 in Chicago. These are actually uploaded to Slideshare.net, but are embedded here. If you have any questions, please do not hesitate to let us know. Developing Effective Content for Your Website | TECH 01 from Randall Wong, M.D. This was delivered along with Andrew Doan, M.D. I do not have Dr. Doan’s slides. Use Blogging and Social Networking to Super Charge Your Website | AAO 2016 | SPE09 from Randall Wong, M.D. Search Engine Optimization (SEO) Made “Easy” de Randall Wong, M.D. Dominate Local Search and Monitor Online Reputation Simultaeously from Randall Wong, M.D. 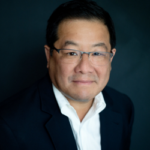 Live Website Analysis | AAO 672 from Randall Wong, M.D.